This week is likely to be the last “bumper” kale week, where we have multiple varieties and colours. It does however herald the return of purple sprouting broccoli, a seasonal treat that likes the winter chill…..don’t forget you can eat the whole plant, not just the florets, just slice the stalks lengthways if they are a little thick. Ours is courtesy of Francis Sampson in Cornwall, whose produce you’ll be seeing more of as we head into February. It’s Burns today, when it’s the humble swede’s turn to shine alongside Rabbie Burns’ poetry. Check the potato board to find some tatties to your liking, we still have a varied and interesting range. 2018’s “Beast from the East” and summer heatwave may seem like an age ago, but both still have a knock-on effect on certain crops. Parsnip yields were particularly poor, and are now becoming very limited. The same can be said about potatoes, although this won’t become apparent until the Spring as stores begin to run short and “new” potatoes are not yet ready to harvest. 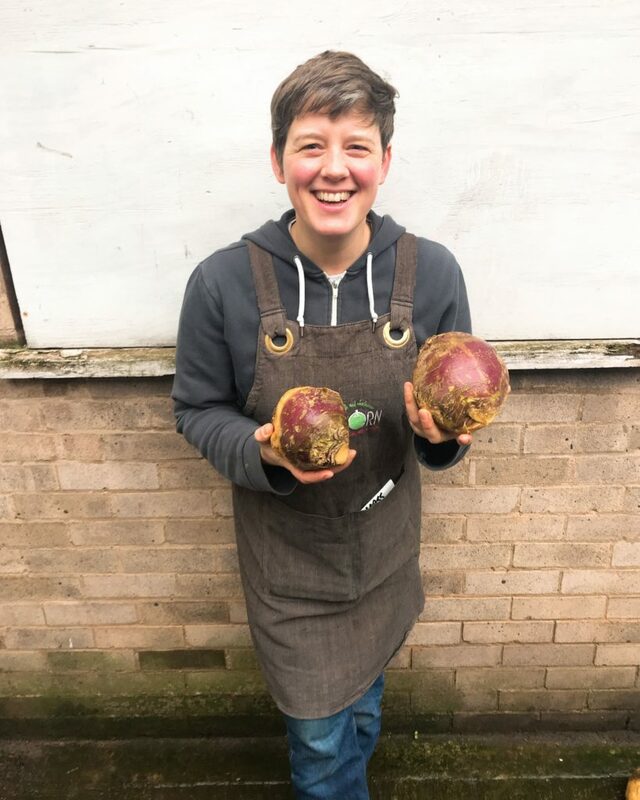 Our long-term potato supplier Newfields Organics in Yorkshire will send the first seed potato nets this weekend, so you can start chitting ready to plant your first earlies. Poor continental weather is still having an effect on courgette and aubergine prices and there’s a world-wide pineapple shortage…so were expecting limited supply, for the time-being at least.